EDITOR’S NOTE: A couple of months ago we received an inquiry from Marion Hermannsen, a frustrated aspiring designer from Ireland. So we politely asked established interior designer Linda Fritschy to provide an answer and planned on publishing the exchange in our GO AHEAD…ASK ME section. However, when we saw Linda’s thorough response, we decided it was well worth a full article in THE “REAL” REAL WORLD. Why” Because it sets out some great guidelines that all of us, despite where we are in our careers, can use. 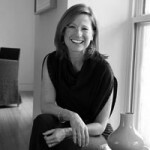 Hi there, I love your website and the way it allows me to stay in touch with the interior design community. I do have a real concern: I decided to change my career from Legal Marketing to interior design after the birth of my two children. Because of my age and the fact that I can only practice interior design part-time while the kids are small, I don’t have the option to gain experience within an interior design firm. So I decided to set up as an independent Interior Designer in Ireland, drawing solely on experiences I’ve gained through my degree and schemes I’ve done for friends and neighbours. I now find that my residential clients are happy for me to draw up floor plans and schemes, but will not allow me to purchase items for them. So I either spend ages taking pictures of furniture in various shops or take the client shopping with me. This really relegates me to the role of Interior Decorator. Welcome to the real world of interior design. You are experiencing a trend that has been coming for many years. Today, with the Internet and the daily advertising that tells the consumer that they never should have to pay full price, interior design is more about service and less about the product. The nuances of our business will always be changing. What is critical is to establish professional ground rules that cover the basics, so let’s talk about these essentials first. By setting these ground rules you will be establishing yourself as a professional, and you will receive the rewards – both in terms of financial gain and self-worth – that follow. You may already follow some of these tactics, but I’ll cover them just in case. These rules are especially worth mentioning to those working at home like you are. 1) The answering message on your phone is professional, even if you are using a home line. 2) You have a separate checking account for your business. The only way you should ever make money is to pay yourself by writing yourself a check from your business account and depositing it into your personal account. 3) Take care to have a very professional business card, letterhead, etc. Steer clear of cute logos and silly company names. Leave off your home address on your business card completely or use a P.O. (post office) box. 4) Announce the opening of your business. Send out a letter or postcard to your friends and neighbors, letting them know that you have taken your passion and turned it into a profession by getting a degree in Interior Design. At the end of this letter, ask for referrals. Don’t be shy, but don’t be too pushy either. 5) Include in the letter or postcard a list of the tasks you can perform for them. Or, better yet, if you have a website, list them there so that you can easily direct potential clients there while keeping your marketing materials uncluttered. 6) Have a letter of agreement that clearly addresses your fees and sets expectations with your client. 7) Before you do business with your clients, review this letter of agreement with you client in full and have them sign it before you ever do anything further than an initial interview. 8) Secure a retainer or some sort of deposit for your services at the time of signing. It engages the client, investing them and reinforcing the idea that you are a professional providing a needed service. Don’t answer the business line after a certain time at night or on weekends. Don’t let client meetings linger on – plan a meeting schedule that allows you to leave after an appropriate amount of time. Learn to recognize the red flags. For example: If applicable, ask how long as the client had their current housekeeper. If the answer is, “I go through about one every three months” or “I can’t find one to suit me,” know that you will be the next one in line who can not live up to this person’s expectations. 10) Drive to your meetings in a clean car. No “Mommy car” allowed – i.e., one cluttered with toys, food wrappers, etc. Always arrive dressed as appropriately and professionally as the client or situation calls for. 11) Come to your meetings with your “interior designer bag,” which should contain information about your business, a tape measure, grid paper, note paper, and architect’s scale. Leave that cell phone in the car – unless it’s your PDA and you need it to set your next meeting. 13) Come to the meetings with a typed agenda. You can formally hand it out and refer to it, or just keep it to yourself and use it to make notes on. It will keep things rolling. 14) Speaking of meetings… At the end of a meeting, always try to set your next appointment. Talk about what you will be doing between now and that next meeting time. Go ahead and start the agenda for the next appointment. 15) In between appointments call the client and let them know what wonderful _____ you have just found for them. Let them know what you have been accomplishing for them and how you are working hard to move their project along. 16) When you talk with clients, HEADLINE. State the situation first and then go into details. After the first 15 seconds of talking to someone their mind will start to wander. By “headlining” you get their attention and then they will stay present with you to hear the details. You’re a professional, so charge professional rates. There are many choices here, so you will need to establish something that suits your style. 1) Chances are you may need to raise your rates to attract the type of client you want. I would immediately up your rates 50% of what you are charging. People want to feel special. They want to believe that they have hired an expert. If you are marketing yourself in a certain way, you will receive clients at that level. 2) It’s easy to establish a new, higher rate with a potential client. In case it’s not comfortable to say I’m charging _____ an hour, put a post-it note next to your phone to remind you. Or get a pep talk from a family member or friend before the new client meeting. They will remind you why your expertise is worth the price and why it makes sense to charge _____ an hour. 3) Regardless of whether or not the client is purchasing from you, charge an hourly rate for your time. Explain that your business profit strategy is made up of income received by your hourly rate and profit from your markup when purchasing. When the client does not purchase from you, it affects your profit. Therefore, you charge a higher hourly rate when the client is only consulting with you. This rate could be 50-75% higher than your standard hourly rate. Remember: The nice thing about only consulting is that you get to walk away from the paper work, the follow up, and the aggravation when deadlines or expectations are not met. 4) With existing clients of a year or longer, inform them in writing that effective in 30 days, your new rate will be at least 20% higher than the original rate you’ve been charging. If they value your service, then they will understand. If they balk, then you may want to move on. 5) In your letter of agreement, state that your rates are good for one year. At the end of a year with that client, send out a new letter of agreement. At this time, up the hourly rate around 20%. 6) Mark up the merchandise the same percentage whether it is retail or wholesale. To set the expectation, state this in your letter of agreement. Explain again that this is simply a part of your doing business. 7) Establish relationships with craftsmen and sell custom, one of a kind, made-to-order pieces. Sell the client on this idea when it makes sense for them. Example: They really like a particular high-end sofa, but the dimensions don’t work and the price is too high. It’s sometimes possible to get one that suits their needs perfectly but costs half the price. What a deal for them. And who brought it them” You did. 8) Do you have a specialty” Create and market your style. People will come to you for that look or niche. 9) Create a business plan. If part of your business is not profitable or feeding your soul, then re-evaluate it and makes changes. The wonderful thing about being self-employed is that we have the opportunity to do this at our will – not that of an employer or others. The downside to this is that we must be honest and have the strength to make these changes on our own. Over time your projects will increase in size and budget if you keep increasing your rates and establishing yourself as a professional. Through the years, I have learned from my mistakes as well as from my relationships with others. My professional association with ASID as served me well. First of all, it has allowed me to receive accolades and recognition. Secondly, it has given me a group of like-minded professionals with which to share experiences. If you do not already have a group of peers, I would highly recommend seeking others who are in a similar situation. Meet with them monthly or weekly and learn from them what to do and what not to do. Also, find a mentor or even look for a business coach. Both of these people can be very instrumental in determining your priorities and getting you to the next level. I wish the best of luck to you, Marion, and everyone else in the same situation. Set your mind to it, and you will succeed!